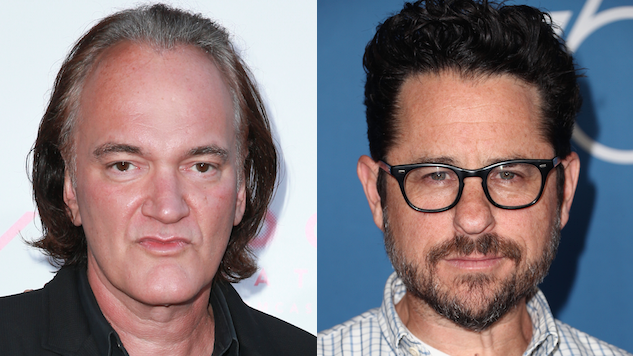 What sounds like a perfect dream team to some may be a nightmare for others: Quentin Tarantino and J.J. Abrams are planning to join forces for a Star Trek film project. According to THR, the Pulp Fiction writer-director had a pitch for Abrams, the man who rebooted Star Trek for film. The duo is reported to have assembled a writers room, with Tarantino potentially directing the film. The news may be a surprise to moviegoers, but Tarantino in the past has expressed his admiration for Trek. Speaking to Nerdist in 2015, Tarantino stated that he would be more interested in directing a Star Trek picture than a Star Wars film, as a fan of the original 1960s television show and The Next Generation. “The only thing that limited them was their ‘60s budget and eight-day shooting schedule,” Tarantino said in the podcast. “You could take some of the classic Star Trek episodes and easily expand them to 90 minutes or more and really do some amazing, amazing stuff.” Tarantino is also a fan of Abrams’ energetic 2009 reboot Star Trek. Justin Lin directed the third and most recent film in the Trek reboot series, Star Trek Beyond, which was a critical success but a minor box-office disappointment. A fourth film that would have Chris Hemsworth return as Captain Kirk’s father in what would likely be some time-travel hijinks was announced, but the status of that project is unknown with this recent news. Meanwhile, Tarantino’s next project (with Sony Pictures), a film based in 1969 and with the Manson murders as a backdrop, recently got a release date of Aug. 9, 2019. With that film being the ninth of what Tarantino plans to be ten films before retirement, it would be a bit strange if the director went out with a film based on a previously established property. Meanwhile, Abrams is attached to direct and co-write Star Wars: Episode IX, releasing Dec. 20, 2019.